We're delighted to share with you these exclusive tools and favorite resources to help you practice your Happier Skills! Welcome MA Conference for Women! Thank you for sharing your open minds and hearts to talk about Fostering Your Inner Entrepreneur and Innovator on Thursday with each other and our panel. As promised, we are thrilled to share with you the some of our most helpful Happier practices and tools for work and life! And here's a video where Nataly walks you through the 5-Minute Happier Workout™! Below, are more resources to help you thrive in work and life by cultivating your true superpower -- your emotional health and wellbeing. We are so excited to see you become an even greater force of good in the world as you practice! This isn’t a book about positive thinking, silver linings, or always being happy. This is a book about living fully in good times and bad, and enjoying life more because of it. 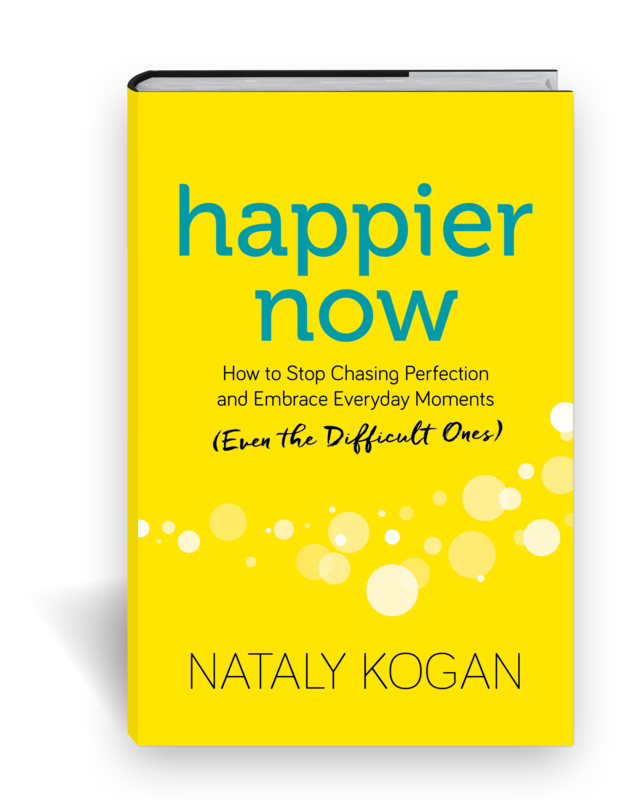 In her debut book, nationally recognized happiness expert Nataly Kogan teaches readers how to stop searching for some elusive “big happy” in the future and start finding more joy in everyday moments. 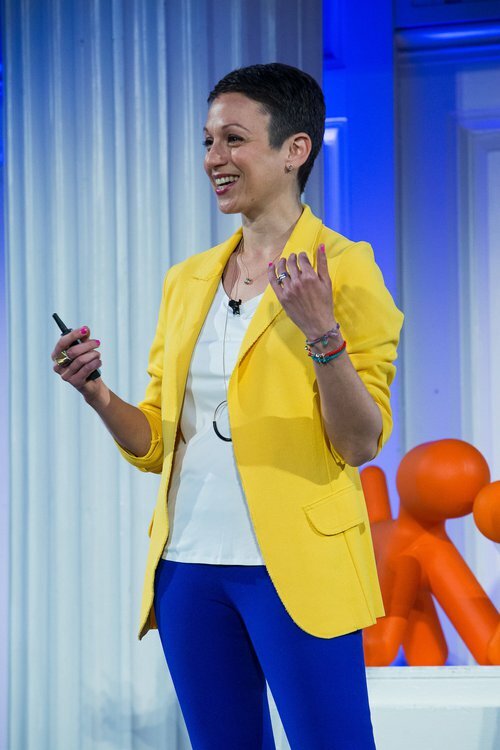 Drawing from science, Eastern traditions, her experience as a refugee, and her own failing search to find lasting happiness through career success, Nataly shares simple practices to help readers live happier and have greater resilience when times get tough. Readers will learn how to experience more joy and meaning, boost their “emotional immune system,” and embrace difficult times with compassion and stability. The emotional well-being of employees and leaders is every organization’s greatest unrealized asset. Our innovative Happier @ Work programs empower leaders and teams with science-backed, practical skills that transform team culture, which boosts productivity, creativity, communication, innovation, engagement, and business performance! How I went from a Russian refugee to the US to the top of the corporate latter, burnout, and founding Happier based on scientific research that changed my life. This video-based course will help you feel more joyful, energized, and better able to handle stressful situations -- in your personal life and at work. Learn more about the 5 Core Happier Skills, why they are important, and the benefits of practicing each by visiting our Happier Method™ page. 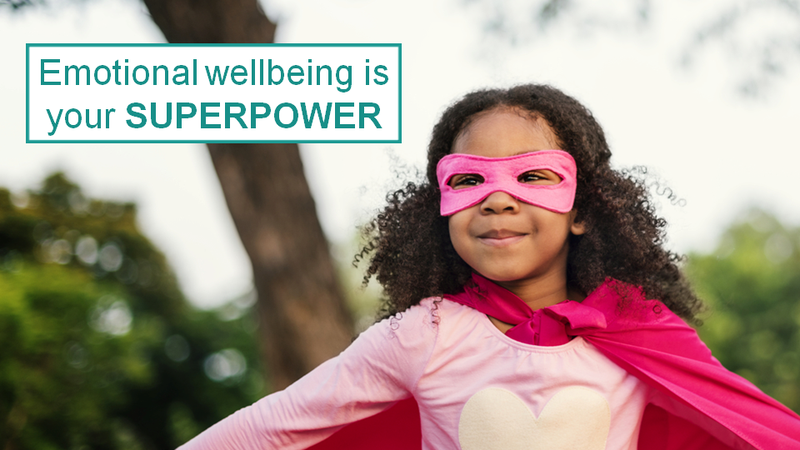 Be your own superhero -- practice Happier Skills!